Radio is a highly relevant and effective medium for Retail brands. Find out why and how with our four-point guide below. With radio the advertiser has the opportunity to reach people in shopping mode, before the point of purchase and while travelling to the shops. 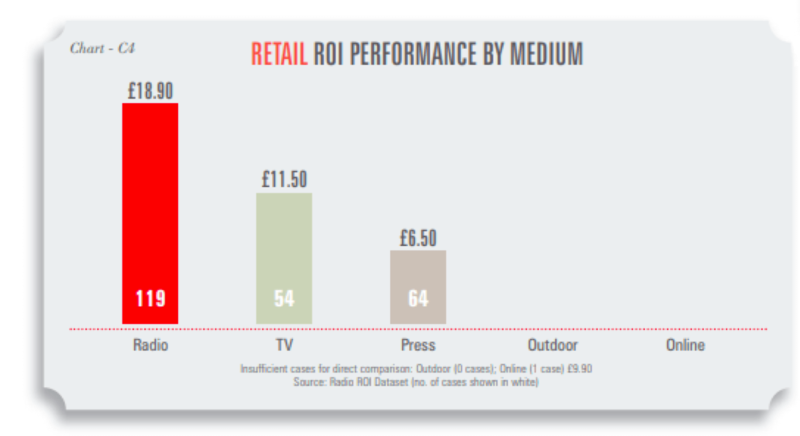 Retail brands have the highest radio ROI, returning £18.90 for every advertising pound spent – three times the press average. 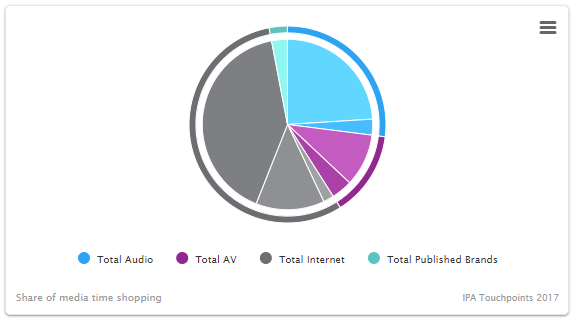 With a higher share of media time during the “retail day”, radio is effective at building share of mind for retail advertisers. 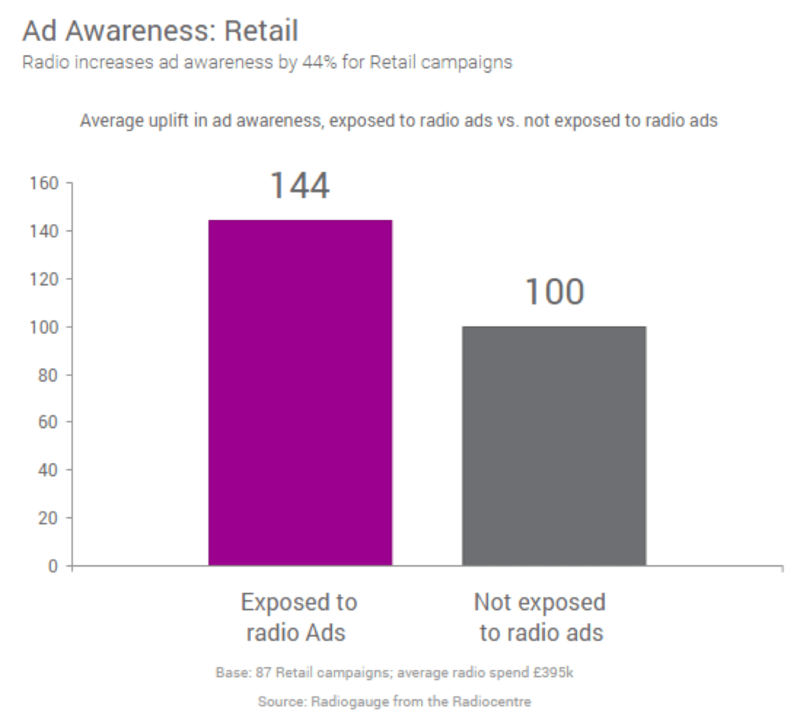 Ongoing effectiveness research study Radiogauge underpins how radio has a significant uplift effect on awareness, brand relevance, and consideration for Retail brands. Using radio to deliver impressive ROI.